In the past 6 months I have met people who are able to speak Chinese fluently. Unlike the Slavic languages, complex grammar rules does not apply to Chinese. This makes the Chinese language a great language to start with. If your trying to get a few languages under your belt. Learning multiple languages can be very useful for getting a job, or improving your value at the work place you are currently at. Speaking for myself, Chinese was quite easy for me to learn. When compared to other languages. It is much more difficult to learn something else. The complex grammar in Russian made me give up trying to learn it. As for French, it took me much longer to learn than it took for me to learn Chinese. In three months Benny Lewis was able to get fluent in the language that he studied, which is a very good achievement. A bestselling book about Benny Lewis’s process, and tactics of rapid language acquisition was also written by Benny Lewis. The book was about learning another language in 3 months regardless of your age. That goes to show you that you are never too old to learn something new. You should always try to update your knowledge in the things that interest you the most. Weather it be a new language, or not. Learning to read Chinese is way more challenging than learning to speak it. Even the Chinese people themselves have trouble learning to read their own language. The process of learning a 1000 characters takes up to 4 years for a Chinese student when they first start going to school. The way that Chinese students are taught is mainly through continuous rote learning. I found a fun way to study the first 950 characters in just 2 months. Without consulting a dictionary, I am able to read my first Chinese book. Several times a day I spend 3 to 5 minutes on my computer working. I also work on my iPhone as well, but I am much slower. This is because I have to type with one finger when I work on my phone screen. I am a traveler too. I take anytime I can to learn with multiple devices that suit the situation best. Like when I waiting for a train, plain, or bus. This also applies when I am on a train, plain, or bus. I also like to get some work done during my coffee brake. I will try to work even if I am taking a bathroom brake. If I wake up early enough I will try to get some work done. Before I go to bed I will also try to do some work. I do all of this while being married with kids. I never notice before, but their are plenty of opportunities to take 3 to 5 minutes out of your day to try, and get some work done. Even while watching the kids while my wife is away, and holding down a job. Knowing less than 100 words still gave me a little advantage. Thanks to my Chinese studies at University 20 years ago. I found a frequency list on online, and sampled some books in 2014. The first book was written by James Heisig, and Timothy Richardson. The next book on beautiful Chinese characters was written by Shaolan. Two more books I read were written by Saurabh Sharma. Haven almost forgotten 1000 characters as I was learning them, I realized the books were not helping at all. Depending on your work ethnic, it might take you longer than two months to learn. It may take you a few more weeks longer than it took me. If you never learned Chinese before, or it could take you about the same amount of time it took me to learn. Taking a course was the method I fond success with. I signed up for the course, because Memrise uses up to date learning techniques. Memrise is free and keeps learners engaged by using mnemonics, reward system, social learning methodologies, the right spaced repetitions, and learning chunks. A maximum 15 words is contained in each level of the 136 levels of the broken down course. The course allows you to stop when needed, and to save your progress so that you do not lose any work you have completed. Points will be given to you each time you get an answer correct. It is a lot more fun to learn when rewards are given for your progress. Motivation is lost when the learning process becomes boring, and repetitive. Students may lose their focus when trying to learn this particular way. Turning the learning process into a game, and letting the students compete against each other is better. It helps the student maintain focus, and retain the lesson that is being taught. As you are ranked, and compared to others you will be inspired to compete with other students. The reason for this is to help motivate students to be the best they can be by surpassing their fellow classmates. An audio pronunciation will be given in both levels. A list of multiple choice will be one of the many various ways you can reply to a question. Another way you will be able to reply is by typing directly in to a box provided. The system switches up the questions by asking you for the English translation from the character. The system will also show you the English translation, and ask you for the character. You can customize your mems to suit your needs if you can not work with pictures with text, or stories. The Memory Grand-master Ed Cooke found the fastest way to learn to read Chinese. 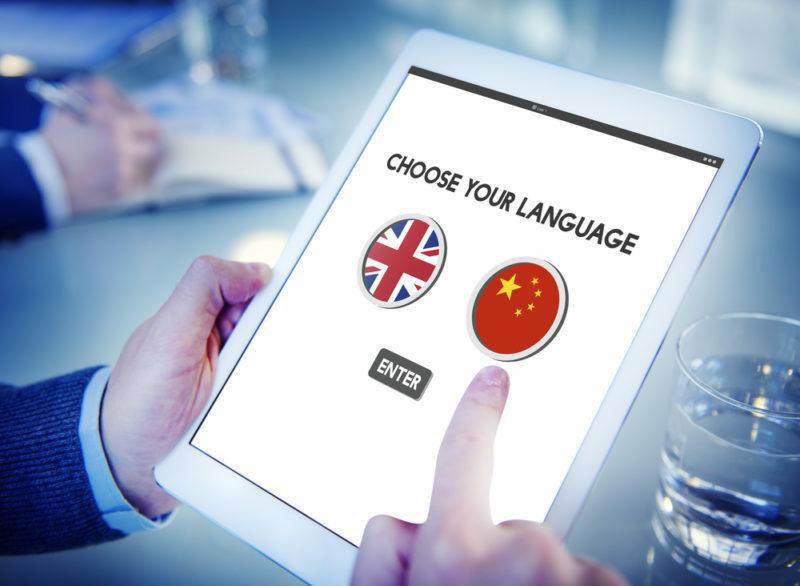 The fastest way to learn to read Chinese is by using Memrise. The Memory Grand-master Ed Cooke founded Memrise. Memrise was able to help Joshua Foer learn a new language in only 22 hours of hard work, and studying. This achievement is amazing considering it use to take months to learn how to master a new language. With this type of progress in modern education. It will be no time at all when people are able to learn all the languages. I believe that the world will be a much better place with zero language barriers. As for the time being, we will have to settle with learning a few languages at a time.